Seller will accept or counter offers between 100-113k. Drive Down the Private Road and See this Quiet, Safe and Secluded Home offers lots of Privacy. This is a Single Wide 16x80 Solid Construction Manufactured Home. This cozy home has a spacious wood vinyl flooring kitchen and bathrooms, newer stainless steel dishwasher, newer Side by Side Refrigerator. Relax in your large master bedroom with a garden tub, an enjoy entertaining in your open and spacious great room. This home is ready for you to make it your own sanctuary. A little TLC and final touches are all you will need, some materials available. No POLY PIPES! 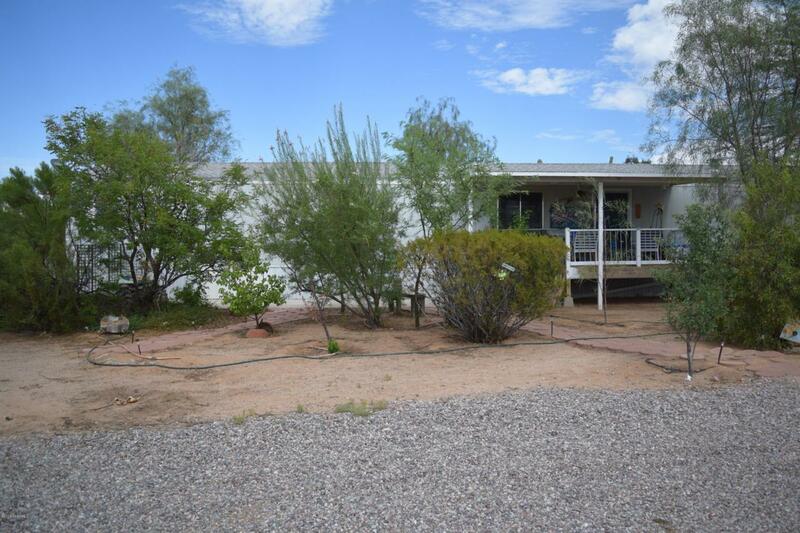 Mountain views from every angle on this acre lot surrounded by lush vegetation and saguaro cactus.